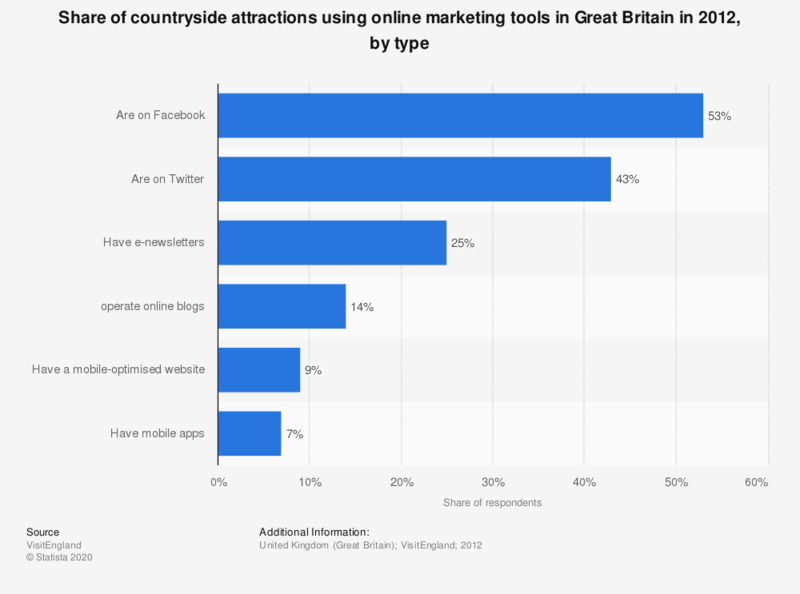 This statistic displays the share of countryside attractions in Great Britain that use online marketing tools, by type, in 2012. Use of Facebook for online marketing purposes was most common among rural attractions businesses, with 53 percent of visitor attractions businesses reporting having a social media presence on this network. Publication date not specified. Survey base, methodology and characteristics not provided.